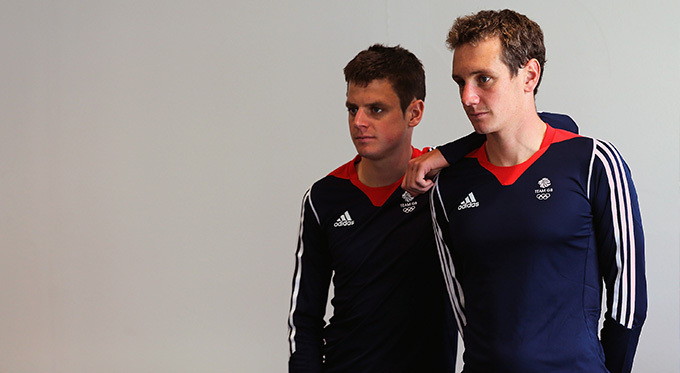 Becoming the first brothers since 1908 to both book a place on the podium at the London Olympic Games in 2012, as well as the first in history to finish first and second in an individual event at the 2016 Olympic Games – the Brownlee brothers have been dominating triathlons since 2009. Here is a collection of some of their finest moments. The Brownlee brothers were responsible for one of the defining images of modern-day sport when Alistair Brownlee carried his brother over the finish line of the World Series Finale . Just minutes from the finish line, Jonathan Brownlee held a commanding lead before falling victim to heat exhaustion. Alistair caught up, putting his arm around his older sibling to help him to a remarkable finish. At the time, with his brother looking down-and-out, Alistair was in with a chance of winning the race himself. But instead, seeing his brother with heat exhaustion, Alistair decided to help his brother to the finish line in one of the most dramatic moments in the history of the sport. 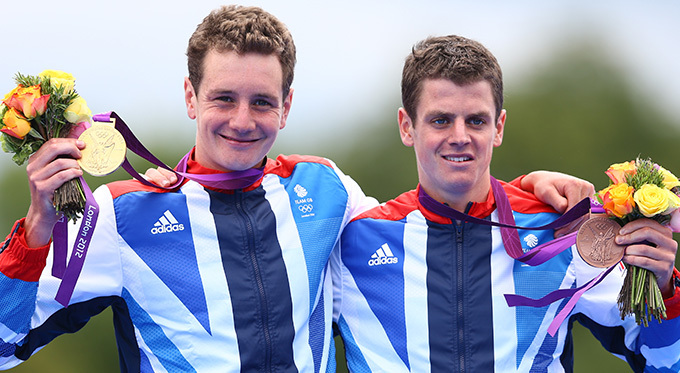 The Brownlee brothers inspired a generation with this incredible sporting moment. The Brownlee brothers’ Olympics in 2016 was a memorable one. 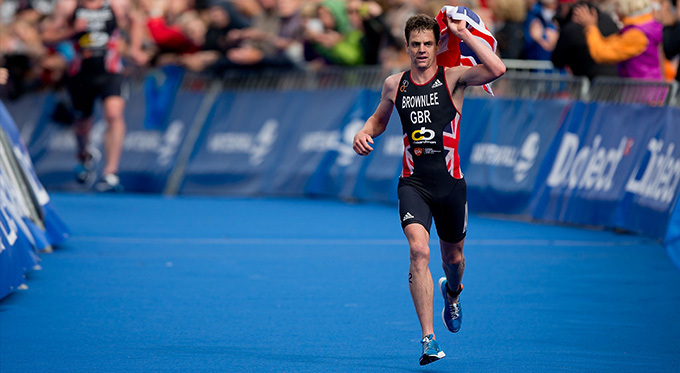 Alistair Brownlee became the first athlete to defend his Olympic title when he took Gold in Rio. Running a brilliantly dominant race ensured his reputation as one of the greatest distance athletes of all time. With just a six second gap between him and his brother, Jonny also managed to win himself a podium finish, bettering his Bronze medal at the London Olympics to take Silver. The way the duo embraced at the end of the race to celebrate showed their closeness once more and provided another breathtaking image for the family photo album. 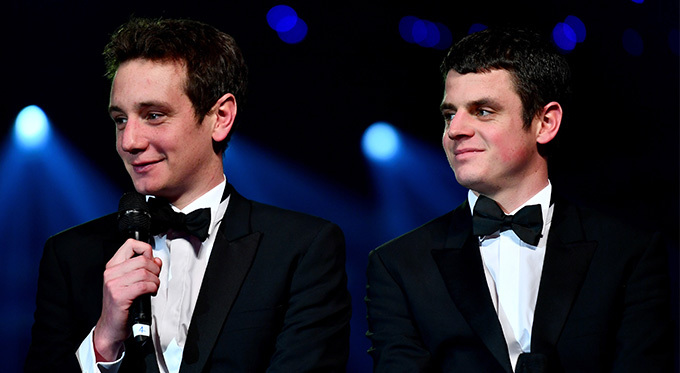 A once in a lifetime opportunity, the Brownlee brothers supported the cause for Great Britain as they each managed a podium finish. With Alistair winning the race and Jonny finishing in bronze medal position, the two became the pride of the nation, as these two ‘ordinary guys’ from the North of England inspired a home crowd. Alistair strolled over the line with a flag in hand, while Jonathan ran Gomez close to finish in third despite a stop-start penalty to ensure a thrilling day ended in pride and glory. Sensationally winning the series thanks to host of wonderful performances, including in Stockholm, Jonny beat off stiff competition from Javier Gomez to succeed his brother as the World Champion . Following the win, he said: “It’s good to keep the title in the family“, showing the genuine spirit between the duo. Showing a commitment to peak performance as well as sportsmanship, Jonny and Alistair Brownlee are a wonderful influence on the sporting sphere. They have used this influence to support children across the UK, helping to provide equal opportunities for them to experience sport in a positive way. They have also been able to support in the development of coaches and teachers in the hope of inspiring the next generation to get active and involved in endurance sport. The World’s Best Triathletes: Back to Their Best? The Brownlee brothers claimed another collective scalp as Jonathan Brownlee clocked up his first 2018 win when he took the top spot at the Beijing International Triathlon . Alistair finished the race in fourth but took to Twitter to congratulate his brother on his victory. 2018 has been a tough year for the duo, with injury plaguing their progress. The Commonwealth Games saw the Brownlee brothers some way away from the podium in 7th (Alistair) and 10th (Jonny) respectively. But Jonathan was able to get back on the podium for the 46th time in his career by winning his 18th race in Beijing. Jonny tweeted about his win, saying: “Oh I have missed that feeling. Nice to feel good in a race and to win the @Beijing_Tri this morning”. Blessed with talent, it is due to the duo’s ability that their achievements cannot be overstated. And the way that they went about their historic wins is a testament to their remarkable attitude and humility in the face of the sport that they so dearly love. Constantly pushing themselves and each other to the pinnacle of the sport, the brothers have become the epitome of sportsmanship, persistence and passion. They are perfect motivational speakers, able to speak on their trials and tribulations and peak performance in sport. The best triathletes and one of the finest sibling partnerships in sport, the Brownlee brothers are a staple of British Athletic history. 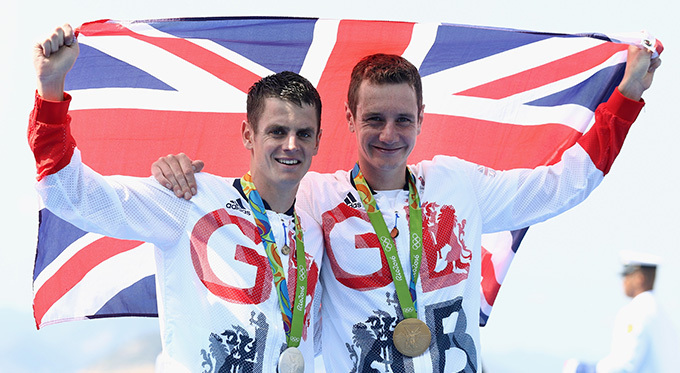 You can book Jonathan & Alistair Brownlee for an inspirational keynote speech today via Champions Olympic Speakers. You can also book other amazing Olympians such as Sir Steve Redgrave to feature at your corporate events. Simply get in touch by filling in our online form or by calling us on: 01509 85 29 27.